Coolidge Cricket Ground, or "CCG" as it's known locally, is a gem of a ground located next to Antigua's VC Bird International Airport with a backdrop of lush hills and old sugar mills. 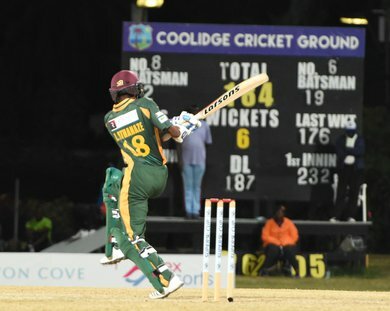 In 2018, Cricket West Indies and the Antigua and Barbuda Government took over ownership of the ground following the conviction, in 2012, of the previous owner Allen Stanford. Previously called the Stanford Cricket Ground, the ground resumed staging cricket in 2017 after an 8 year hiatus. The ground has recently hosted first class games featuring the WINDIES women, WINDIES A and the Super50 Cup finals in Feb 2018.